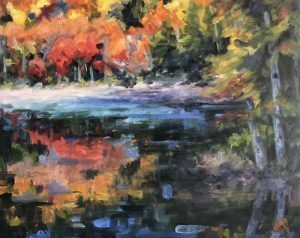 “Seasons” in Elmsford features artist Carol Perron Sommerfield’s landscape and still life paintings. March 16 through April 29, 2019. Free public opening reception on April 6, 2:00 pm – 4:00 pm. The Howard and Ruth Jacobs Gallery at The Greenburgh Library, 300 Tarrytown Road, Elmsford, NY 10523. Gallery is open 7 days a week. For hours call (914) 721-8200 or visit greenburghlibrary.org.